Im so happy that I bought this for my son! He has no trouble using it and it can hold any of his cups! It's still amazing to me that a car seat that costs as much as any Britax doesn't come with a cup holder. Even after reading a plethora of bad reviews, I still thought I'd try this out because there aren't any alternatives. Don't waste your money it isn't difficult I install, but it's extremely poorly designed. It just attaches by being shoved into a notch between two different parts of the plastic shell of the car seat. 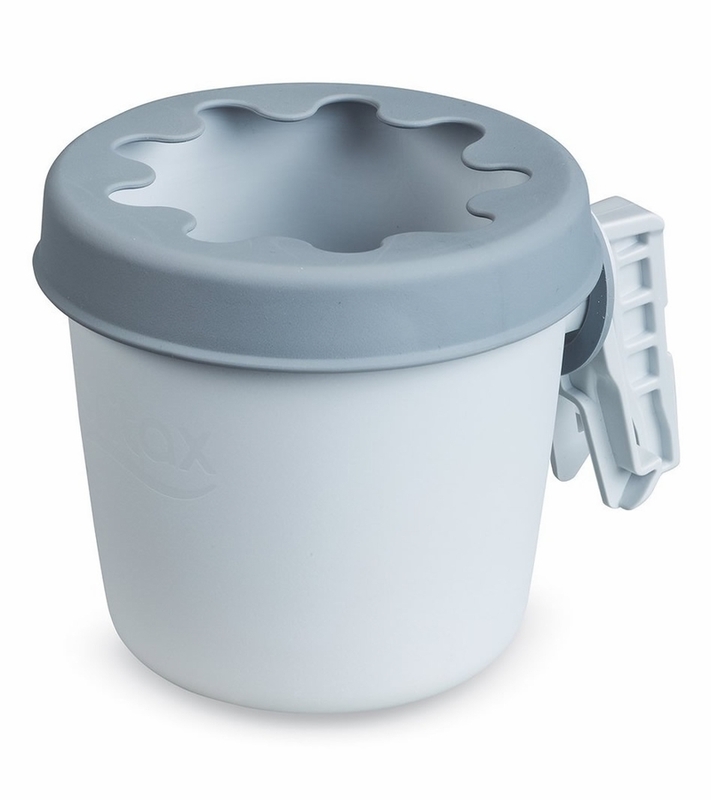 These two plastic parts don't overlap or connect, so you just kind of shove it in there and it sits with nothing there applying any counterforce against a weighted cup. 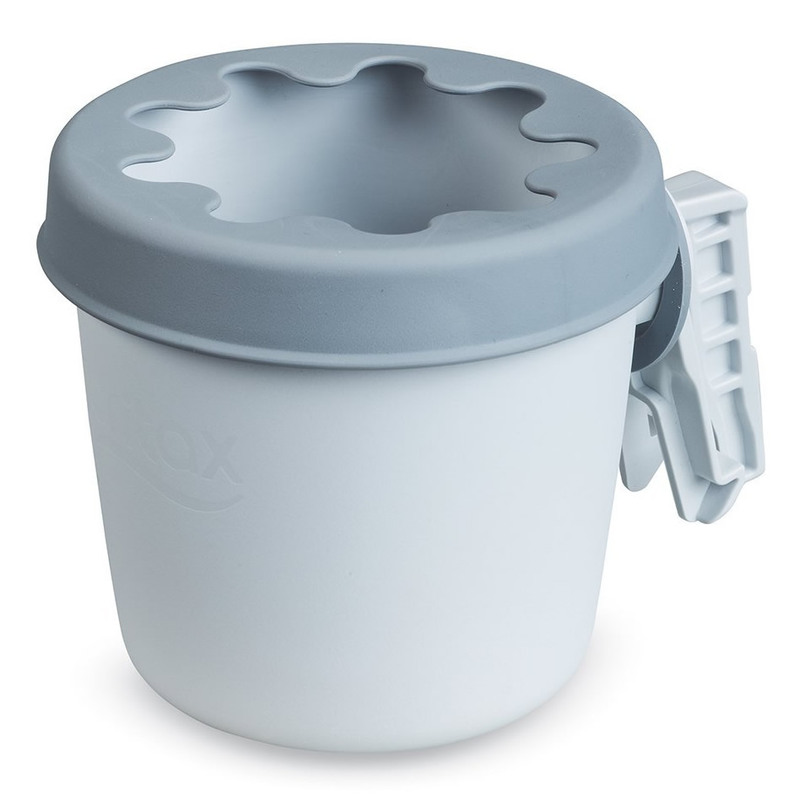 With anything larger or heavier than a small (4-6 oz) lightweight plastic cup, the whole cup holder pulls itself out of the area it's "secured" too. Ours has been fought with for about a year now and it's damaged the plastic shell pieces and padding around the area the cup holder attaches. It is worthless. Britax, this has obviously been an issue for several years, I wish it would be addressed. This cup holder is useless. It falls off constantly, the rubber portion is too tight and after about a year, the car seat has bent to where you can't even secure the holder for even a few minutes. I'm not sure why Britax doesn't incorporate a holder into the seat or build a better holder. Britax is supposed to be known for quality, but this is a big disappointment. I now have to pass my daughter her drink when she wants a sip. Easily fit right onto my Britax Marathon seat! These took my husband and I a minute to put together but we eventually got them and the kids love them. The rubber on them make it difficult for some cups to go in but that comes out and makes for a bigger space. All in all these are a nice addition to the car seats. I put these cup holders on the inside of the car seats. Our last one broke when it was next to the door trying to get our baby in and out of the rear facing seat. I do like this cup holder you can choose the angle you need the drink to be at. This is a good idea to have cup holders, however the cup seems to get stuck in the plastic gray rubber inside the cup. I purchased 2 however they stick out a little to much so I can only have one attached, if I attach both then it's hard for anyone to sit next to the car seat. This is definitely a great item to have for the car seat! No worrying about having to hand back a cup! Love how easy it goes on too & stays in place! My 16 month old has a difficult time pulling her sippy cup out of the holder. It works better if you remove the rubber top. ProsI know these will stay in place in the event of an accident was to happen. ConsHard instructions to understand and install but once you do put them on it stays in place.